In simpler words, creating fresh content regularly brings more traffic to your website. This leads to potentially more business. 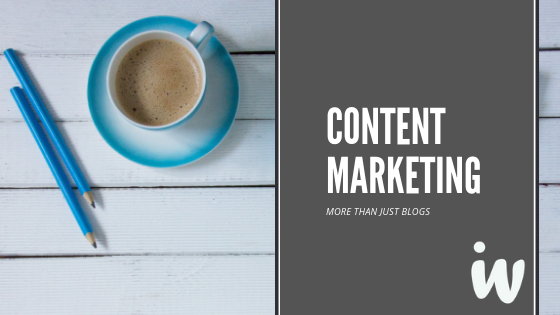 The first thought when hearing content marketing is blogs. Blogs are a tactic but it’s not the only one. Other tactics of content marketing include white papers, videos, e-books, email newsletters, and social media. To achieve effective content marketing is through consistency and frequency. Publish content often. I repeat, publish content often. This is how you get customers to keep coming back to your website. If there’s nothing new to see the traffic on the website would decrease. Always keep in mind the phrase, quality over quantity. A lot of content is great but a lot of bad content, not so great. Building a rapport with your audience must be with content that is related to your business. It needs to fill gaps and answer questions your audience may have. Content should be well written and use words that will link to SEO (search engine optimization). Using words to link to SEO allows more opportunity to be shared across social media. Thus, reaching a larger audience. Looking for keywords and linking help with the SEO side. For example, we are going to say you live in Jacksonville, Florida. The topic is lawn care. Looking up all the keywords in relation to that in Jacksonville optimizes the chances of your site to pop up. The content needs to be journalistic, helpful and audience-focused material, in order for it to be effective. The content itself should be backed by data or personal expertise on the topic. This allows your customers to be informed on the subject and on what you, as a business, know. Content marketing helps achieve trust and a good rapport with your customers. It allows them to learn new information and get insight as to who you are as a business. With 15 years of experience, we believe in empowering companies with the right strategy necessary to succeed. Give us a call today at 904-279-0279 or visit us at Integrated Webworks.